PERT-WEEK - Under The Green Umbrella | Warped Factor - Words in the Key of Geek. Dominic Fellows ventures under the green umbrella. 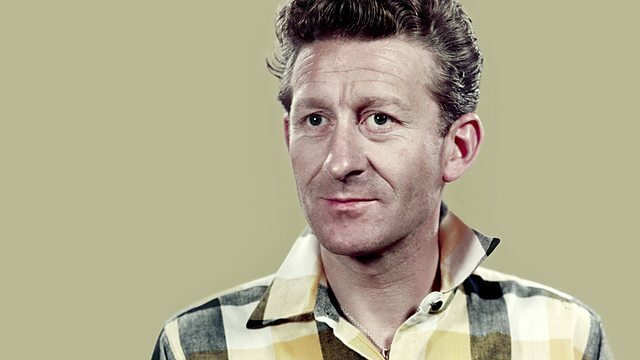 The life of Jon Pertwee was… …colourful. So very colourful, it makes the sixth Doctor’s coat look sombre. As an actor Pertwee has always been one of my heroes, not just because he was Doctor Who but also because he was an amazing voice over artist, cabaret performer, character actor, dramatic actor and as it turned out a gifted writer. Perhaps one of the very few actors who was successful in all mediums. His CV alone provides enough material to write a play about but his personal life is far more astonishing than anything anyone could make up. I know this because for some time now I have been researching his life with an insatiable desire to dramatize it. This goes back to when I first read ‘Moon Boots and Dinners Suits’ and parts of it just made me laugh out loud to the point where I found myself saying ‘That’d make a good sketch.’ Of course there is far more to his life than just the comedic element. Parts of it, like any human life, are downright tragic. So I set to reading/watching every interview, every biography and any documentary I could lay my hands on in the hope of telling a well-rounded tale of his life. The response from Warped Factor was, as always, a hugely encouraging ‘YES! That sounds fun, let’s do it!’ for which I am always grateful. So here is an extract from my Pertwee inspired stage play ‘Under the Green Umbrella’. Hard-core Doctor Who fans will know exactly where the title comes from. GUY: I say, what? – now look here – er – can’t ever you do it? – no question! – do what you did – er – Mother, this was delicious don’t you know! GRANNY enters as JON and GUY use four chairs to set up a car. GUY: Come on you two, it’s the weekend, time to take the Morris out for a drive. GRANNY: Alright, but could I sit in the back? GUY: Well you could, but I’ll have to adjust the windscreen. GRANNY: You can manage it can’t you? GUY: Well yes but it’ll take a while. GRANNY: There’s no hurry is there? GUY: (Exasperated) I reckon not. Jon, could you get me the instruction manual please? (JON reaches into the ‘glovebox’ and hands GUY the manual which he reads from;) ‘Your screen will be supported by a series of chrome rods. To adjust simply unclip fig. A and re-attach to fig. B in direct correlation to fig. C. (JON shrugs) Alright let’s give it a go. (GUY attempts to adjust the rods. From his reaction they are clearly awkward and not going anywhere) Jon, would you mind? GUY: What if you grip it from the top and I take the bottom? GUY: (referring to the instruction manual) How about if you take hold of Fig. D and I’ll adjust Fig. A? GUY: NO! I said Fig. D, that’s fig. C.
JON: How am I supposed to know, they look the same! GUY: Fig. D is thicker, you’ve got the thinner one! JON: No, it’s the other way around, look! GUY: You’re looking at it the wrong way! JON: Well that’s just ridiculous, you can only read it one way! GUY: Look, just take hold of this one! GUY: No! the one on the left! GUY: Not your left, my left! GUY: That’s the one! On the count of three, one, two, three! With an effort so immense they both seem ready to collapse, they finally manage to adjust the windscreen. JON: Goodness me that was a rigmarole. GUY: ‘You will now need to adjust the waterproof skirt’ Oh for God’s sake! GRANNY: Is this going to take much longer? GUY: Can’t you just sit in the front like a normal person? GRANNY: If I can’t sit in the back then I’m not going! GUY: You’re not the flaming Queen now get in the car! GUY: Hold on the both of you, we’re coming up to a slight incline! (They all lean back ever so slightly and judder with only a little more force) Come on old girl, you’ll make it, easy now, easy. There she goes, up and over! In typical exaggerated fashion they simulate a car struggling its way up the incline and then plummeting like a roller coaster. JON (TA): I am of the opinion that the occasional change of gear might have helped. JON stands as GUY and GRANNY move the chairs and add a table. They are set as they would be in a pub. GUY moves up stage as GRANNY exits. GUY: Bag a couple of seats for us in the garden and I’ll go in and order. Ginger Beer alright for you? (JON sits. GUY takes a moment and promptly joins him) Patricia’s bringing them to us. Here she comes. JON: (muttering under his breath) an angel in a print frock. PATRICIA: And very nice too, you must bring him again. It’s nice to serve a good looking customer for a change. GUY: You’ve made quite a hit there my boy. GUY exits as JON stands and moves centre stage. Dreamily he starts yammering to himself. JON: She loves me! When to see her again? Not at Uncle Guy’s whim. I can hardly declare my love over a ginger beer with him sat next to me. I’ll ask her out for a walk! That’s it! Won’t cost a penny. I’ll send her a post card. (He picks up a card and pen and starts frantically writing) ‘Dear Patricia, I am Mr Guy Pertwee’s nephew Jon who you met last Thursday in the garden. I was wondering if you would care to come for a walk with me one day. Yours truly Jon D. R. Pertwee.’ (JON walks downstage right and mimes posting the card. Then he sits back down twitching. GUY walks past) Uncle Guy, how about going the Hare and Hounds tonight? GUY: Not tonight my boy, far too busy. GUY exits as JON sits there twitching again. GUY walks back on stage again. GUY: Not tonight my boy. JON: (Mumbling to himself) I bet he’s going without me. Wait a moment! I never gave her my address! She doesn’t know how to get in touch. She must be in a state of agonised frustration. (He grabs another card and pencil) ‘Dear Patricia, it was all my fault that you couldn’t reply to my invitation as I didn’t send my address. To make sure you get this I shall push it in your box. Yours very sincerely, Jon D. R. Pertwee.’ (JON mimes posting the card, then goes back to his prior state of twitchiness) Why hasn’t she responded? Maybe the dog chewed up the card. GUY: I say look here Jon old boy, I’ve got a letter here from the landlord of the Hare and Hounds. He tells me you’ve been sending postcards to his wife! JON: (his heart sinking) What?! GUY: The first postcard, I gather, invited her to take a walk, which I would like to think was for the sole purpose of enjoying the sights and sound of the country. The second, and here I quote, states that ‘to make sure she gets it, you will push it in her box.’ An unhappy choice of phrase wouldn’t you say? If it is your intention to make a career of adultery, I can do little to prevent it, other than earnestly request you do not start it with the wife of the landlord of my favourite pub! Taken from ‘Under the Green Umbrella’ by Dominic Fellows, currently in development with Stripped Down Theatre. Dominic is an actor and writer from Birmingham in the UK. He is also producer of the group Stripped Down Theatre (find them on Facebook). His shows have had more than one or two ‘geeky gags’ in them.